Please allow 1 to 2 weeks for production. After purchase, I generate the shipping label and label the priority box or envelope to keep the orders organized. When the costume is finished and shipped, the tracking label will activate. Please keep this in mind. The order can take anywhere from one week to 2 weeks to deliver. Sometimes I run out of fabric, have to order, it takes awhile to get in. be patient, it will be deliverer. These fabrics are seasonal and the quantities are limited in the market, if I cannot fill your order I will give you a choice of either picking another fabric or I will refund your money. 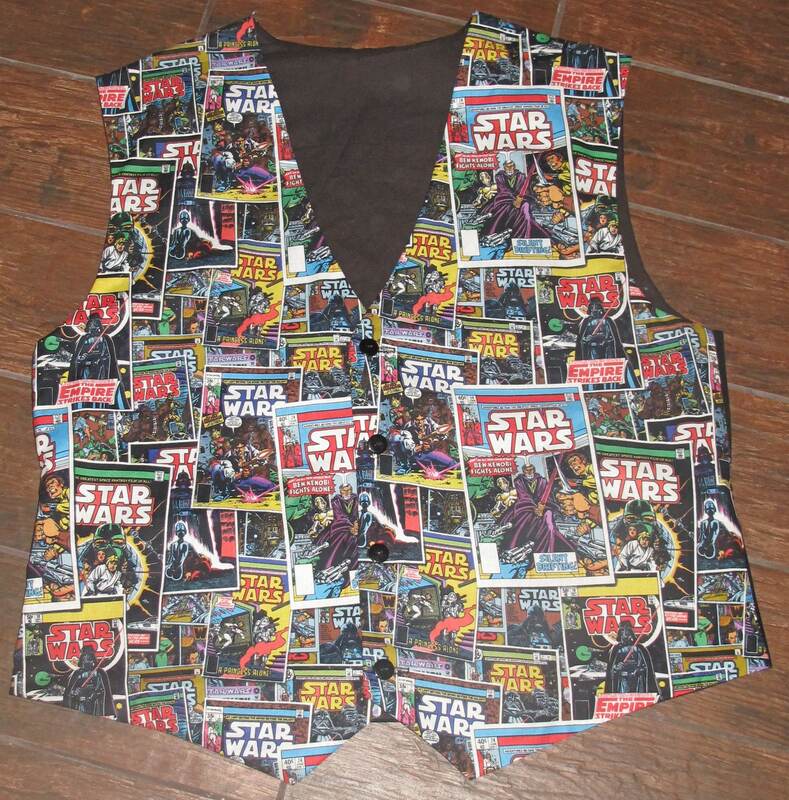 Mens vest with 4 or 5 buttons in the center front for closure. Important fit information: In order for the best fit you must measure around your stomach and not your waistline if the stomach protrudes over the waistline. The stomach measurement must be taken in consideration otherwise the vest will not fit properly. If you have any questions, please ask. I will give you directions. 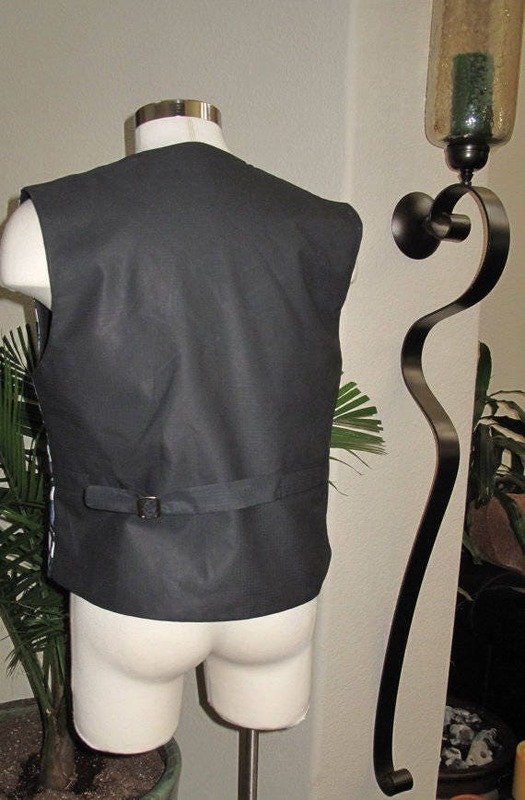 The vest has a strap in the center back for waistline adjustment. All seams are under stitched for the seams to lay flat. The center back hem is sloped which means it is not a straight line, instead I have prolonged it by several inches and the reason for this is so that the shirt will not come out from under the vest as would happen if the vest did not have this detail. This way the outfit will looks great and neat with no jacket on. 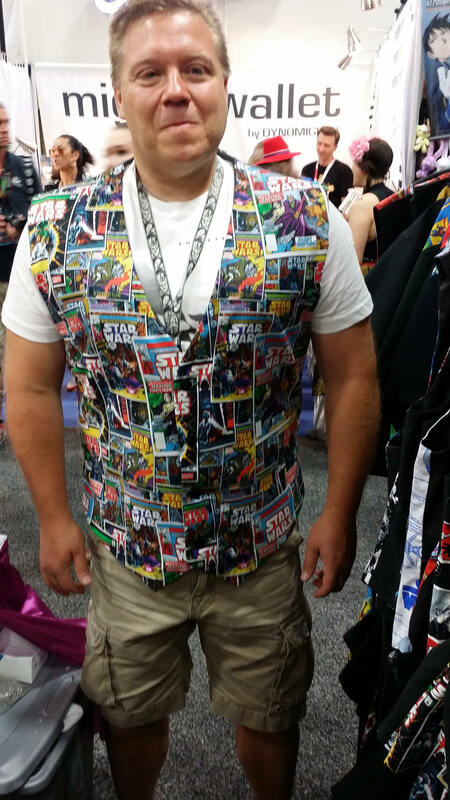 I have started my business 25 years ago with the vests, selling at the Arts and Craft Festivals around the west coast and have perfected the patterns over the years. .No returns if tags are not attached. All items are produced one at a time by Eva Vanecek with pride in the USA. If you have any questions or need more size information please ask. All shipping labels are generated on line via Paypal. Please make sure your Paypal physical address is up to date. If the box is returned to sender you are responsible for another shipping fee to ship item back to you. Paypal address must be up to date. Will not accept a different mailing address via email .